The Kodak EasyShare Z981 digital camera is one of the recent superzooms from Kodak and is the successor to the Kodak EasyShare Z980 digital camera. This provides the ability to tag and share photos across websites such as YouTube, Facebook, Flickr, and Kodak Gallery sites. Further, this can be used in conjunction with the face detection feature as follows – the face detection works on 5 faces at a time, and the camera can be programmed to automatically tag 20 specific people based on face detection. This enables quick tagging and easy upload of photographs on YouTube, Flickr, etc. 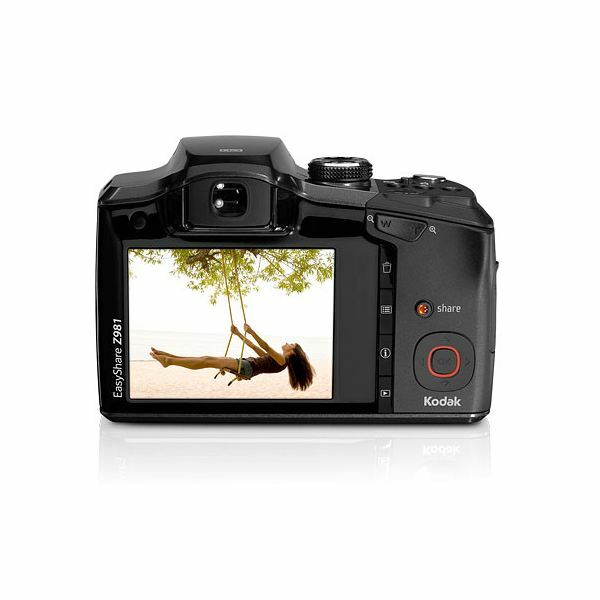 The Kodak EasyShare Z981 features a whopping 26X zoom which is 2x more than most other superzooms. The inbuilt image stabilization ensures crisp images even at longer ranges. However, a tripod is recommended to ensure shake-free images at the long zoom ranges. The vertical shutter release button is especially useful while taking photographs in a portrait orientation. Most cameras are better suited to take photographs in the landscape orientation and this uncommon but thoughtful feature makes vertical shooting a breeze with the Kodak EasyShare Z981. In terms of image quality, the output from the Z981 is about average for a digital camera in this range. There is significant image noise at higher ISO and images produced by the Z981 are not the best in terms of color. In order to understand the price to value proposition which the Kodak EasyShare Z981 digital camera offers, let us evaluate its pros and cons. No Flash Shoe for attaching an external flash. This forces you to depend on the in-camera flash at all times. The camera runs on NiMH AA batteries and exhausts the batteries very quickly. Taking the above pros and cons into consideration, the Kodak EasyShare Z981 digital camera offers a good price to value proposition for a superzoom camera. 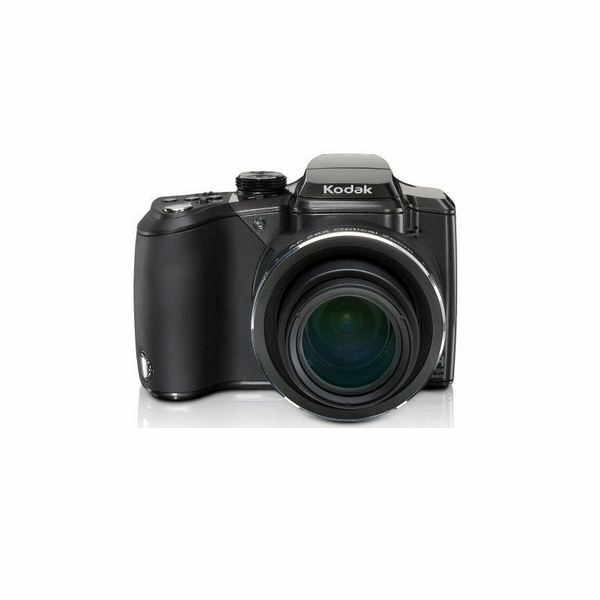 Click here to purchase the Kodak EasyShare Z981 from Amazon.com. At the time of writing this article, the Kodak EasyShare Z981 was priced at about $285 which is significantly lower than other superzoom cameras from Nikon and Canon.